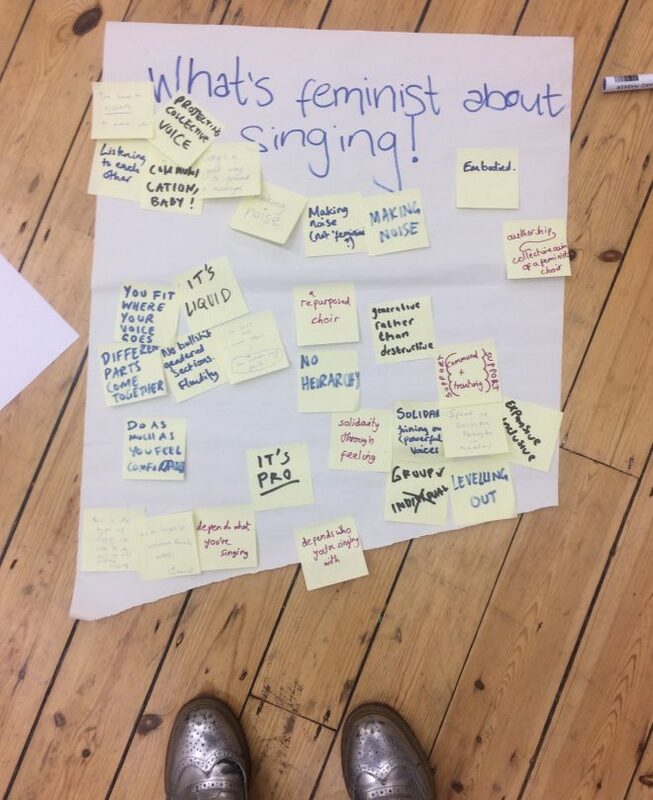 F*CHOIR was born in the dead of winter as a place to collect ourselves in body and voice, and first rehearsed at the Unite Against Dividers weekend, 2016. 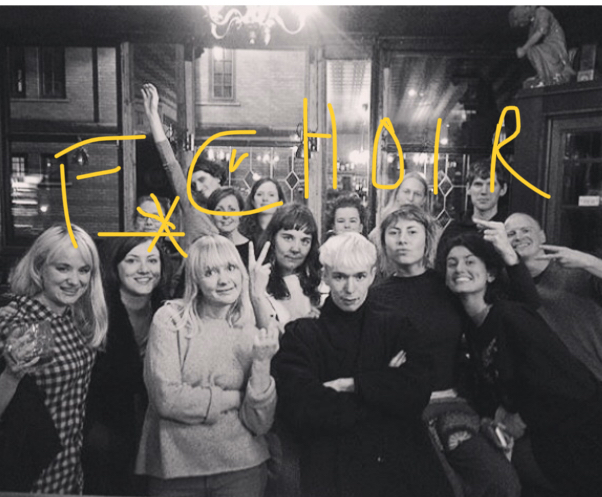 Lead by artist and musician Jenny Moore (from the band Charismatic Megafauna & Jenny Moore’s Mystic Business), F*Choir is a collective endeavour with a transparent structure. 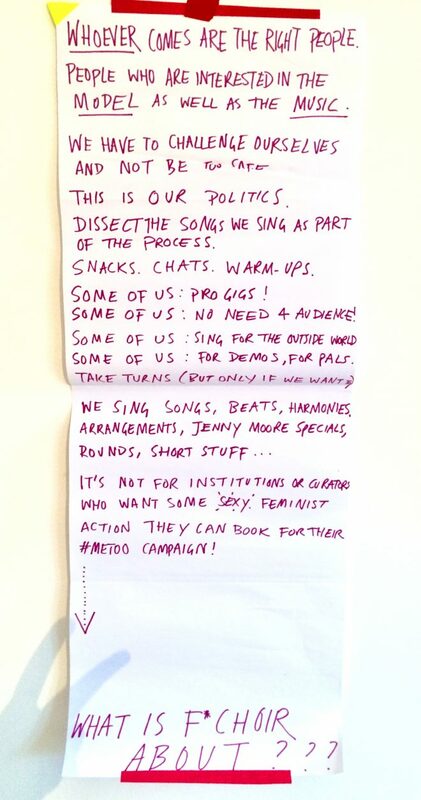 We aim to share out the work where possible and make space for all our voices to be heard. We meet every second Monday in a community space in Hackney, to practice a mix of music from Meredith Monk chants to house music. We don’t use sheet music but make up our own version of notating songs. Most of the material is composed or arranged by Jenny Moore and suggestions are always welcome. Everyone pitches in £40-£50 per term (or pay what you can) and snacks. We don’t assume anybody’s gender, origin, sexuality. We keep email traffic low. If you would like to join the choir please email us at wearefchoir(at)gmail.com and we will be in touch when a new term is approaching. If you have any other questions email us at wearefchoir(at)gmail.com.